Many a times, we are asked questions about the fellowship experience. To help us answer many such questions, our fellow Anirudh Prasadh has decided to share the details of his journey. Embark on his journey and get an up close and personal experience of Youth for India fellowship through this series of posts. Part 1: Living in a village, miscalculations and understandings. In this part, I wish to throw light on the first month in Kolli Hills (Oct-Nov). Post induction and orientation in Pune and Chennai (for MSSRF fellows) respectively, our domain mentor, Dr. Oliver King, had informed us (Gautam Jayasurya and I) that initial accommodation arrangements are in place and that the local team would assist us in settling in. Now, moving to a new place is in itself a difficult experience; however, not knowing what’s in store makes it scary. If you haven’t been to an Indian village, especially ones at a distance from national or state highways, you are in for a certain degree of shock. Despite spending quite a significant amount of time imagining how rudimentary a lifestyle I would be partaking in for the next 11 months, Kolli Hills was quite unlike I had imagined. 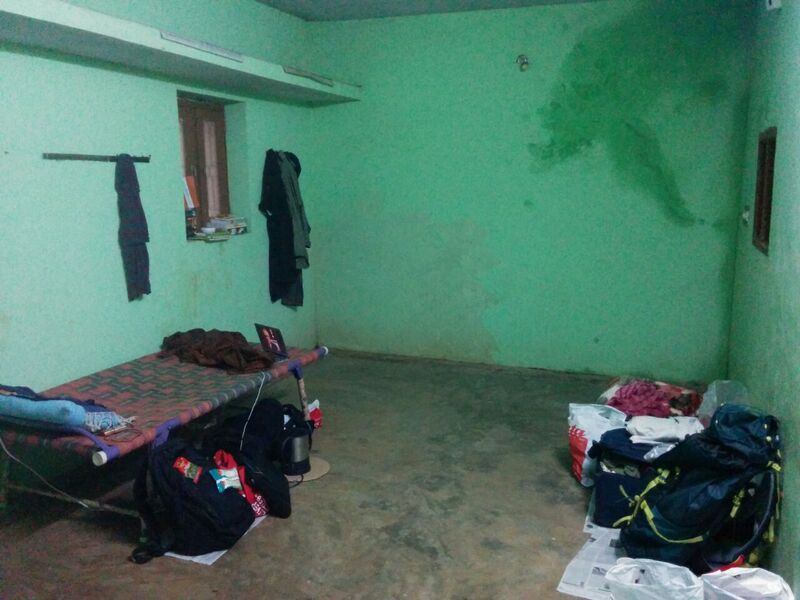 Our initial accommodation was with a MSSRF employee, who was kind enough to share his room until we found a place of our own. As luck would have it, another employee was planning to vacate his house and thus we soon had our own place. A couple of years ago, I would have probably (definitely) thrown a hissy fit if someone had asked me to live in a place like this. However, since the excitement of the fellowship was yet to wear down, I welcomed this change. It only took a couple of days to realize that lack of continuous water supply, and unwanted visitors crawling on you at all times would be a usual occurrence and something we just have to get used to. Add to that the mental image of finding a dozen 5 inch worms swimming in your sole water tank. A water tank supposed to be used for all purposes! On the other side, how often does one get a chance to live amongst coffee and pepper plants or have an easy access to a vegetable garden? We had a kitchen garden (grown by our previous tenants and neighbors) that gave a steady supply of beans and pumpkins. Add to that a guava tree and pumpkin tree, one could truly say we were blessed. Now, before any one gets jealous, we couldn’t really enjoy the fruits of nature. The owners were quick to pluck the fruits when ripe, and the vegetables disappeared just as quickly. It didn’t matter much though; we hardly knew how to cook! Our preference was to survive on soup packets and noodles or make the short trip to 2 restaurants/hotels serving nothing more than dosa, idli and rice. I was lazy. On a plus point though, I had a steady supply of Sambhar. The Tamilian in me was happy. In terms of work, we spent the first two weeks meeting local stakeholders and had a good grasp of problems affecting the area. 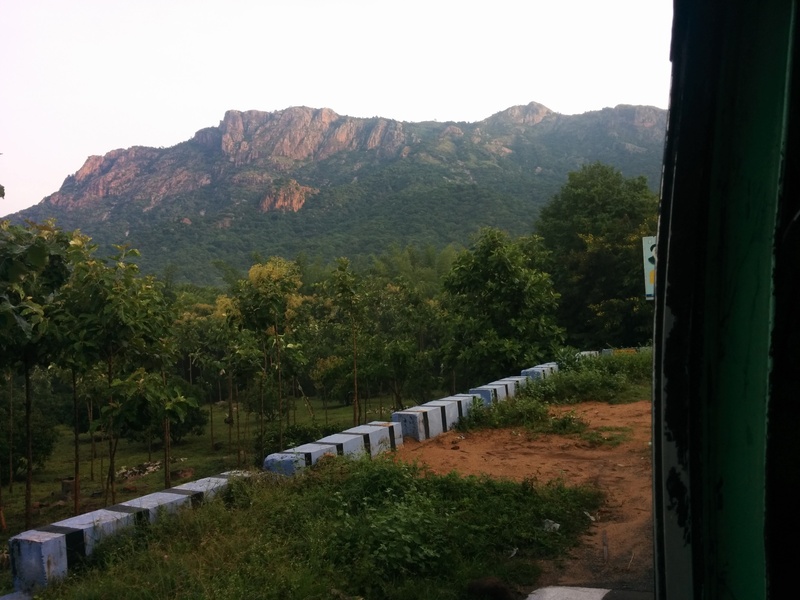 We also realized that Kolli Hills was quite large, comprising of 14 panchayats and many villages. MSSRF and its staff were involved in a wide array of work in 8 villages from different panchayats. The average distance of each village was 20kms from the town centre, i.e. 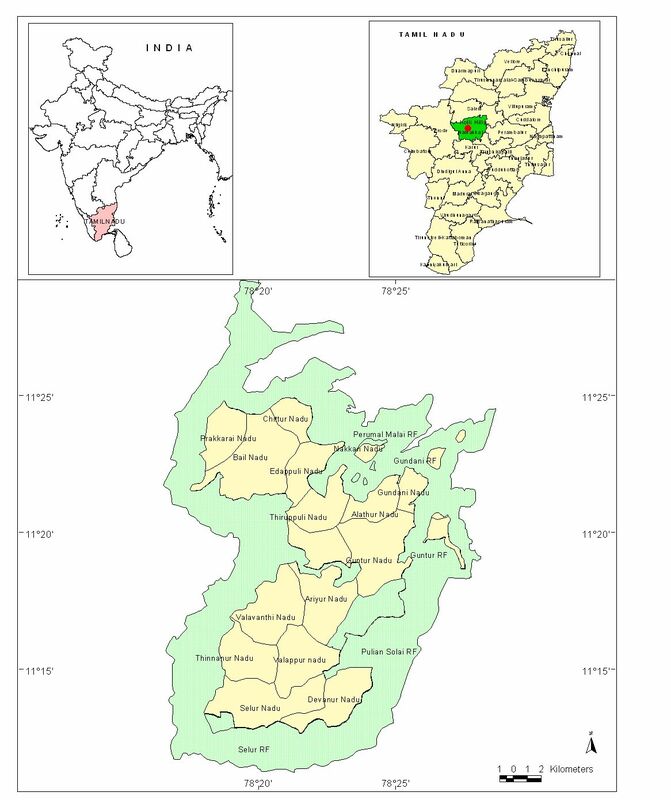 Semmedu (where we were based in). MSSRF had been working in Kolli Hills for well over 15 years. Their work was primarily related to agriculture and biodiversity, domains that require long-term interventions. 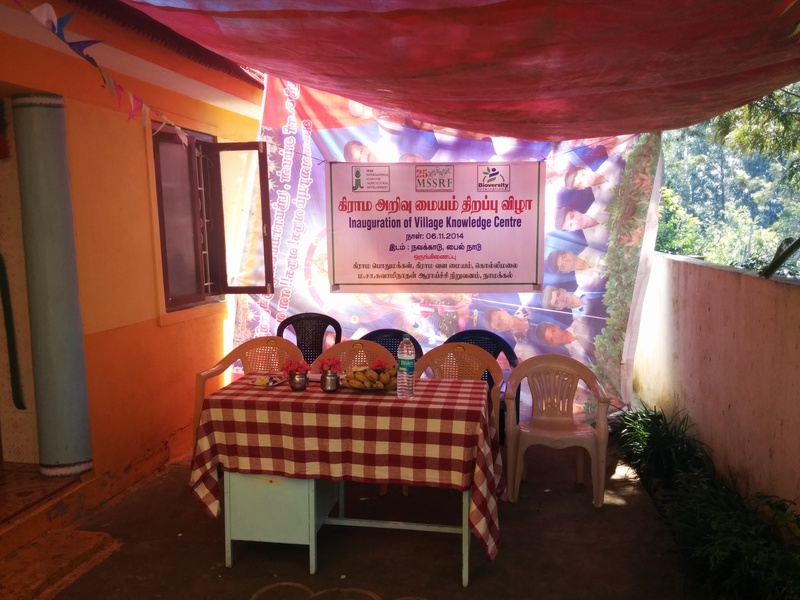 MSSRF had recently setup Village Knowledge Centers (VKC) in 6 new villages. Each VKC had been provided with 2 computers and a printer to serve as a capacity building unit for villagers of all ages. The inauguration of the VKCs were carried out and during said functions, Gautam and I were introduced to the whole community as SBI interns who have come to the hills to study the problems faced by local communities and who will be available to help the community in tasks they see fit. This was the first time, we were able to meet the whole community and the reception was more than welcoming. Kids were curious to know more about us. Our conversations in Tamil were met with giggle and confusion; conversations in English were met with awe. It was at this time, that both of us began to formulate our project plans such that we could cater to all possible areas of intervention. 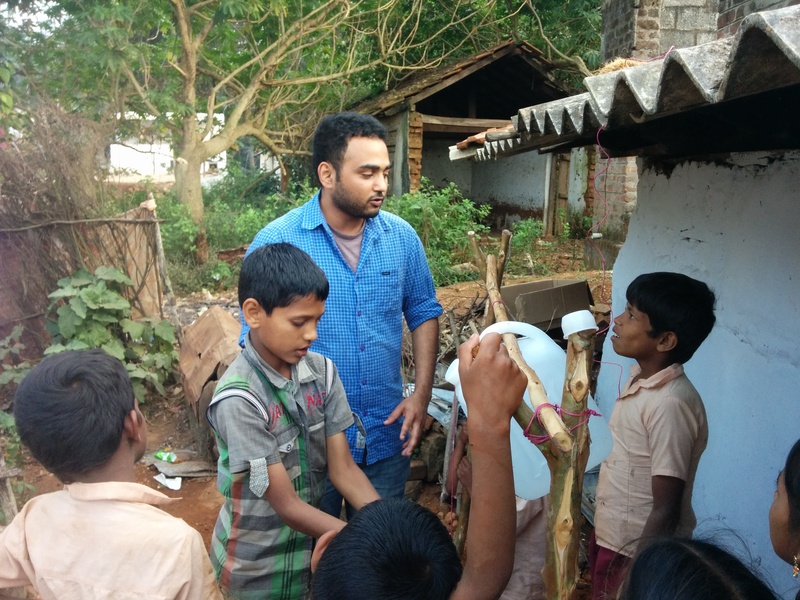 Gautam chose to focus on education, capacity building of the community via VKC, English classes for students, etc., whereas my focus was on nutrition, hygiene and waste management. The SBI mandate required each fellow to provide a ten month project plan (Oct-End), which would dictate the area one intends to work in along with planned deliverables. Take note that the project plan was intended to serve as a guide for fellows to achieve self-set deliverables and was in no way a concrete work plan. We were advised (quite correctly) that it would be difficult to follow the same and that changes and modifications should be expected. Millet awareness for nutritional benefit, especially amongst women and children. Improving Millet value chain system currently in place, i.e. increasing efficiency and bringing about quality control mechanisms in end-end process steps. During the initial bedding in period, we were asked to interact with the community leaders and local stakeholders regarding the issues that they feel required intervention. These interactions obviously formed the basis of the project plan. At that particular moment, I was confident on the well thought out project plan; which if executed right could bring about positive changes in the community’s lifestyle. I’ve attached the project plan and hope it explains the reasoning behind choosing the areas of focus. Moreover in subsequent posts, it would help explain certain decisions that I made along with any deviations on my part from the project plan. Note that SBY Youth for India had informed us that each fellow has an option to either work on an individual project (not part of the NGO mandate) or work with the NGO in improving a particular aspect of a current project. This was an important consideration that influenced our final project plan. Do we decide to work on an individual project different from the NGO’s expertise? Do we work with the NGO in any capacity, thus missing out on potentially important areas of focus? Or do we do a little bit of both? In the following parts, I intend to focus on the nature of work carried out, people and their stories, along with the future course of action planned for Kolli Hills by MSSRF for the fellow’s projects. Part 3: Trials, interventions, deliverables, failures and successes. Following the submission of the project plan, the next task was to set out to achieve the mentioned deliverables in a timely manner. Work carried out in the months Nov-Present is mentioned in the following part. In order to understand the reasons behind nutritional deficiency and associated health problems, conducting a survey among the women was extremely important. The idea behind the survey was to understand local diets, consumption, personal hygiene habits and their thoughts on nutrition and millets as a valid food source. Considering that MSSRF worked with self-help groups, women centric groups were chosen for the controlled survey. This allowed me easy access to the community and aided in understanding their current lifestyle practices. As previously mentioned, since we were introduced to the communities of all 8 villages, I felt duty bound to carry out an extensive survey, such that work and interventions planned for the future would be carried out accounting for all 8 villages. At the beginning, I didn’t realize the fallacy of such a plan. I genuinely believed (good intentions on my part) that in planning for work such that I do not disregard any particular village was the right way forward and could be achieved rather easily. Moreover, I was naïve in thinking that work carried out in one village could easily be replicated in the other villages. I failed to account for local differences and definitely did not account for smooth time management. Discussions with our mentors in MSSRF helped us realize that having a controlled survey of only women SHGs would not be possible for a survey of such proportions. As a result, the survey was changed such that, local staff along with one VKC animator (local incharge) would carry out a randomized survey for a total of about 330 participants (1 out of every 3 homes). The reasoning behind it was, a large dataset would account for errors in data collection. The data would also serve as the foundation for all planned deliverables related to nutrition awareness. The survey conducted also included questions on topics based on Gautam’s project plan related to education, capacity building, VKC use, etc. Hence, focus was shifted from a women centric survey to a family centric survey. The change is survey pattern was something I had not accounted for during formulation of the project plan. Moreover, I failed to even consider that the survey would be conducted with the help of locals. All this time, I was of the opinion that as fellows we would be able to finish it within a couple of weeks. I also conveniently forgot my ability (or lack thereof) to interact in Tamil (basic speaker). This aberration was huge and as one would expect, did eventually affect the planned schedule. Professional experience taught me that following schedules and deadlines are the most important aspect of a successful project. I spent the better part of a month reworking the plan such that it could account for the delay in the survey. As a result, deliverables such as initial health camp, discussions on nutritious recipes, etc., were held back. I felt that it was important to have data in order to conduct these exercises for maximum impact.